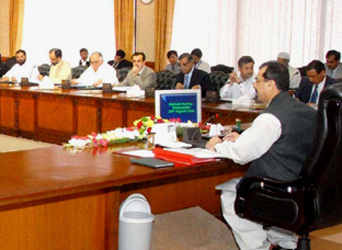 With a slight improvement in the law and order in Balochistan, provincial capital Quetta is all set to host the federal cabinet’s meeting on Wednesday with a one-point agenda of expediting implementation on development projects, especially the Aghaz-e-Huqooq-e-Balochistan package. An official source told Pakistan Today that Prime Minister Yousaf Raza Gilani had decided to focus on development in the troubled province, which has seen insurgency and target killings over the past five years, especially in wake of the killing of Nawab Akbar Bugti. The source said the cabinet would also review the law and order, performance of security apparatus and target killings. Judicial inquiry into missing Baloch political workers may also be discussed. The Balochistan reforms package had been approved on November 23, 2009, and the committee responsible for the package, and its implementation, was chaired by Senator Raza Rabbani. Later, Interior Minister Rehman Malik replaced Rabbani as the head of the committee. But political observers, analysts and nationalist leaders of the province have time and again held the federal government responsible for its failure to implement the Balochistan package, which they said had fallen short of the expectations of the people of the province. An official requesting anonymity said the slow pace of development projects were mainly due to insurgency and the lack of funds and commitment of the ruling party. The source said the proposals to be discussed in the cabinet meeting include completion of Quetta-Zhob-Dera Ismail Khan Road and Quetta-Zhob section of the National Highway. He said a 300-line telephone exchange for Musakhel district, 500MW Dera Ismail Khan-Zhob electricity transmission line, the Sabakzai, Mirani and Check dams and other projects might also be approved in the meeting. However, Senator Wali Muhammad Badini, an independent lawmaker, looked optimistic about the prospects of the cabinet meeting, saying the cabinet meeting might bring about positive results and could be significant for reconciliation efforts. However, Senator Abdur Rahim Mandokhail of the Pakhtunkhwa Milli Awami Party (PkMAP) said no significant progress on the Aghaz-e-Haqooq-e-Balochistan Package could emerge from the meeting. A senior PPP leader said the government wanted to fully implement the Aghaz-e-Huqooq-e-Balochistan Package, but the tribal chiefs of the province were against development in their areas, as development would curtail their influence in their respective tribes.